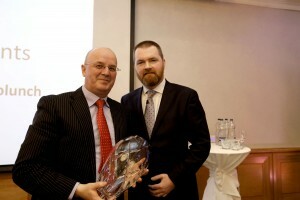 Cusack Garvey, accountants, tax consultants, business advisers, forensic accountants. Cusack Garvey is a dynamic firm of Chartered Tax Advisers and Chartered Certified Accountants. We’re a medium sized firm that provides big firm expertise combined with small firm approachability. Are you concerned that you are paying too much tax? Are you worried that your business won’t survive? Are you not earning enough money to fund your lifestyle and retirement? Are you fed up with all the negativity? Are you ready for some positive change in 2016? 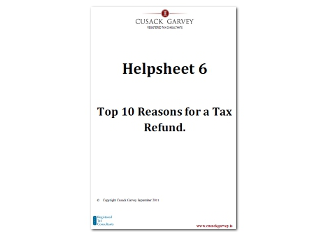 To help you get started here is our latest guide “Top 10 Reasons for a Tax Refund”. This outlines the Top 10 reasons our clients got tax refunds and some of these will almost certainly apply to you. Simply enter your name and e-mail address below and we will send you a free copy. If you would like to talk about how we could help you, please contact Martha at +353 1 210 8455 or martha@cusackgarvey.ie. We would be delighted to hear from you.